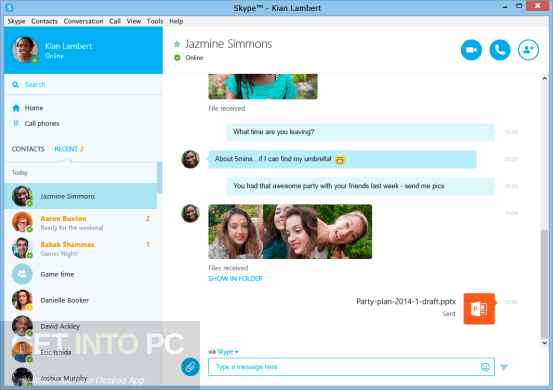 Skype Business Edition Free Download Latest Version for Windows. 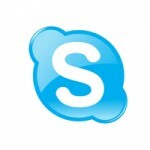 It is full offline installer standalone setup of Skype Business Edition. 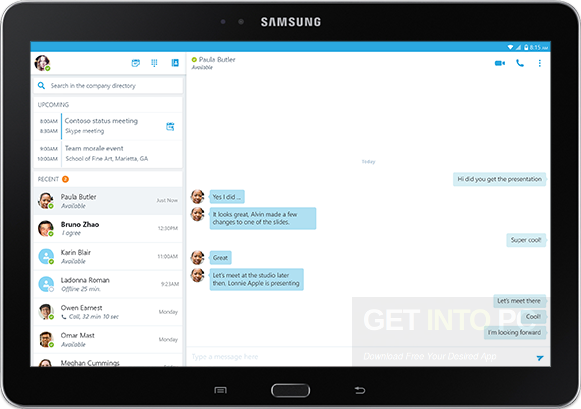 Skype Business Edition is the superb version of Skype specifically designed for Business developed under the banner of Microsoft Corporation. When you are working for a large company and you want to cooperate with your colleagues frequently on different projects. 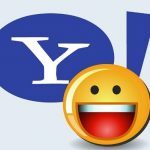 This software will let you help to keep in touch with your colleagues efficiently.You can also download Skype for Mac and Windows Latest Version. 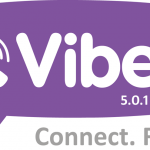 This software provides you various methods to communicate which includes that you can send instant messages, make audio or video calls to your contacts. You can also attend online meetings and set your status on your account. You just have to log in to your account and then it will remember your login info. This software comes packed in a very simple interface which encompasses all the fantastic features. The main window prompts you to sign in and also enables you to change your sign-in status. It is lightweight and you can easily customize the general settings and the advanced settings. 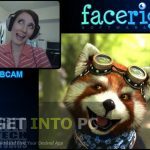 All in all this software is very efficient version of Skype to keep in touch with your colleagues and co-workers. 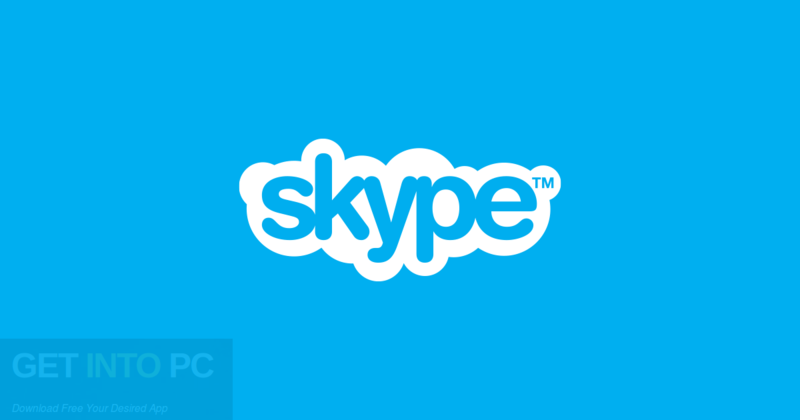 You can also download Skypr Adblocker for Skype. 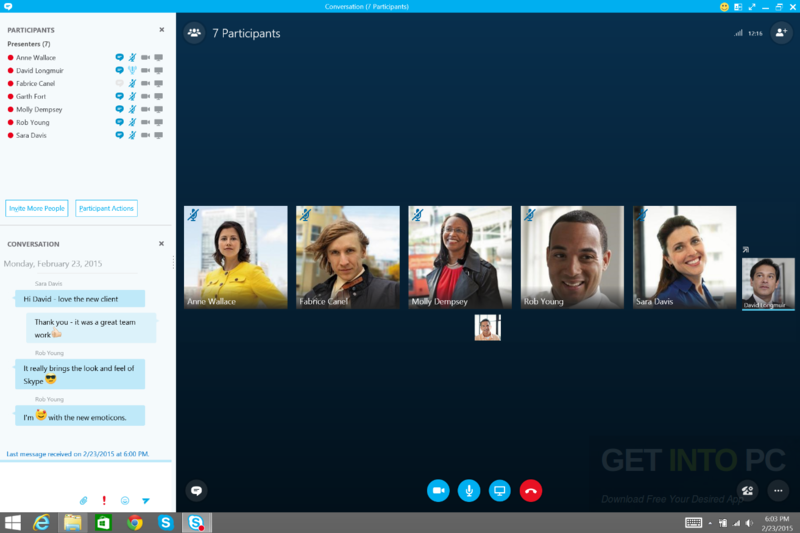 Below are some noticeable features which you’ll experience after Skype Business Edition free download. Its the best business application for communication. It has a simple and sleek interface. You can attend the online meetings. You can also change sign-in status in this application. You can also customize the general settings. Before you start Skype Business Edition free download, make sure your PC meets minimum system requirements. Click on below button to start Skype Business Edition Free Download. This is complete offline installer and standalone setup for Skype Business Edition. This would be compatible with both 32 bit and 64 bit windows.